"Working in this silo is proving really productive for my brand" — said no marketer ever. With the choice of more than 50 main marketing channels, from mobile apps to LinkedIn pages, TV to pop-up stores, marketers now have a more exciting range of opportunities than ever before to reach our consumers. But when I look at our industry, what I also see is the unhappy consequence of this: fragmentation of brands through siloed working, which is restricting their ability to make real impact at scale. The secret of building strong brand equities is consistency of the brand message across all touchpoints. I have talked before about the need for real integration and collaboration among agencies and their clients in order to thrive in today’s fast-changing world. We collectively need to prioritize the brand and the idea over maximizing the individual channel. This requires a huge amount of trust. Hard to achieve, easy to lose but absolutely vital to creativity, trust is the magic ingredient that builds brands that make an impact, brands that matter. As new ways of working emerge, this will only become more important. Through The Unilever Foundry, we are working with startups and entrepreneurs to pioneer new technologies and drive new thinking into our brands. This has taken a huge leap of faith — and, yes, trust — to shift to a model where we don’t necessarily have to own the ideas or have a dedicated team in-house in order to expand our brands. Removing the barriers of the traditional pitch-to-scaling model has released an enormous injection of creativity into our business, as well as breaking down silos across traditional relationships. Because whatever new platform comes along, whether you are a brand manager; an agency creative; a startup; or even a senior social media capability architect (it’s a real job title, apparently), lining up behind the brand to create great work with impact is still the day job of every marketer out there. Building a brand with impact simply can’t happen when you are focused only on delivering your piece of the equation. We recently launched our new Knorr campaign, "#LoveAtFirstTaste," which reached more than 5 million views in the first 24 hours. Delivering this kind of content at scale requires hard work, teamwork and a huge amount of trust. We had more than eight companies sitting in the Knorr command center seeding this creative around the world. Seeing it travel — through a carefully crafted mix of buyrality and virality — and take hold is an inspiring example of what kind of impact a brand can have when we truly pull together. Our industry is not going to stop changing. It is not going to slow down. And it is not going to get easier. But neither has it ever been so exciting. Work closer together. Prioritise the brand and the idea. Trust each other. We’re in for a hell of a ride! 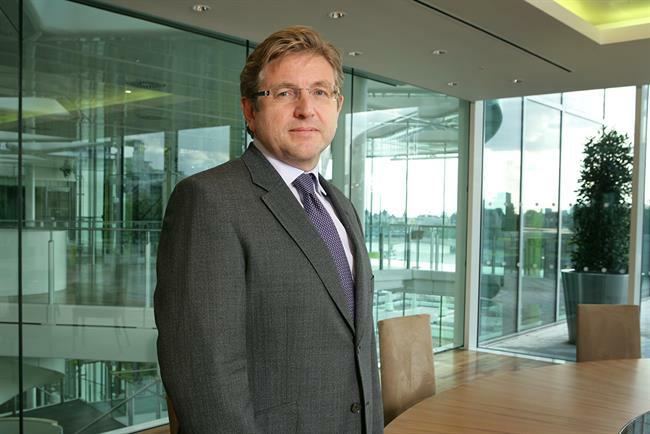 Keith Weed is the chief marketing and communications officer at Unilever.